After graduating in International Political Sciences and a Master Class in Communication, Alberto Cavalli starts his career working for a well-known PR Agency. 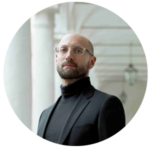 In 2007 he joins Franco Cologni to direct his Italian non-profit Foundation (Fondazione Cologni dei Mestieri d’Arte) dedicated to the promotion and protection of the finest Italian arts and crafts. In his role as General Manager he creates a number of successful projects, from internships aimed at young artisans to the publishing of books and magazines, from academic research to teaching. From 2014 he teaches “Bellezza Italiana” (the code of Italian beauty) at Milan’s Politecnico University.